perceived and utilised by many organisations. 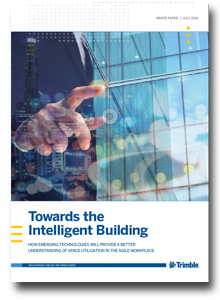 In this white paper, we look at the emerging technologies that can deliver these exciting changes and examine new developments that may completely transform space planning. We assess new technologies that will enable organisations to know exactly how their buildings are being utilised at all times – resulting in truly accurate data the can then be instantly fed back into the process of developing an effective real estate and workplace strategy.